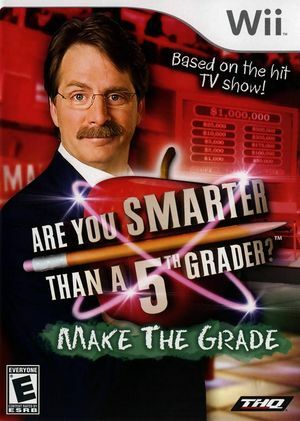 Find out if you are Smarter Than a 5th Grader in Are You Smarter Than a 5th Grader? : Make the Grade! Ace the test in this exciting trivia game where every question is based on grade school curriculum and the answers are elementary. The graph below charts the compatibility with Are You Smarter Than a 5th Grader? : Make the Grade since Dolphin's 2.0 release, listing revisions only where a compatibility change occurred.